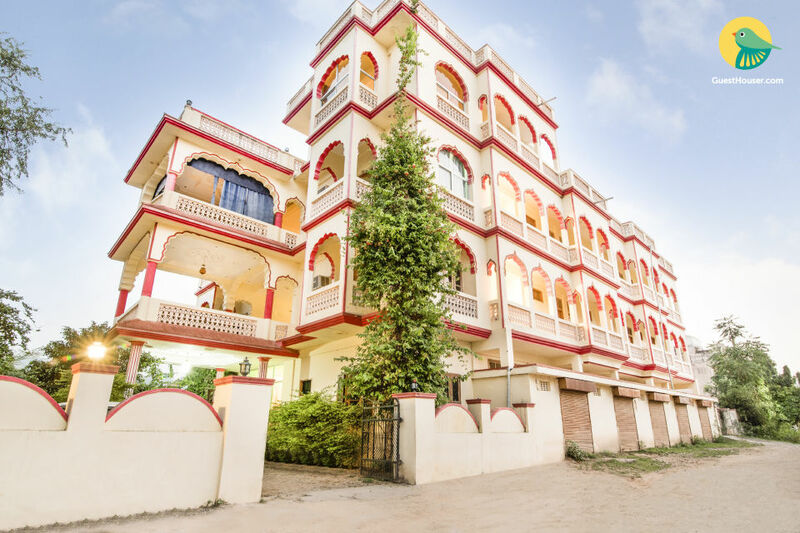 Situated 160 m from Pushkar Lake, this is an offering of a private room in a boutique stay, which can accommodate up to seven people. This accommodation is ideal for groups of leisure travellers. Breakfast is provided here. Ample parking space is available for those on a road trip. Your Space The spacious room on offer is furnished with three double beds and a mirrored wardrobe. The sitting area in the room has a sofas set and a coffee table. The attached bathroom is tiled and fitted with western sanitary ware. 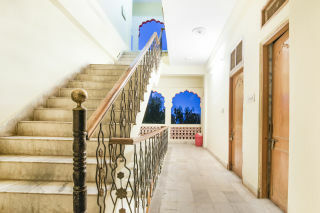 The boutique stay features a rooftop restaurant, which commands a beautiful view of Pushkar Lake. Ajmer which is situated at a distance of 11 km from Pushkar, is the nearest railway station. 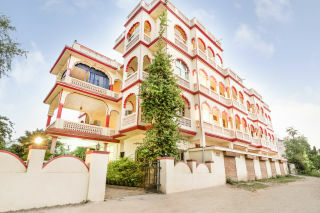 Ajmer in turn is well connected with major destinations in Rajasthan.